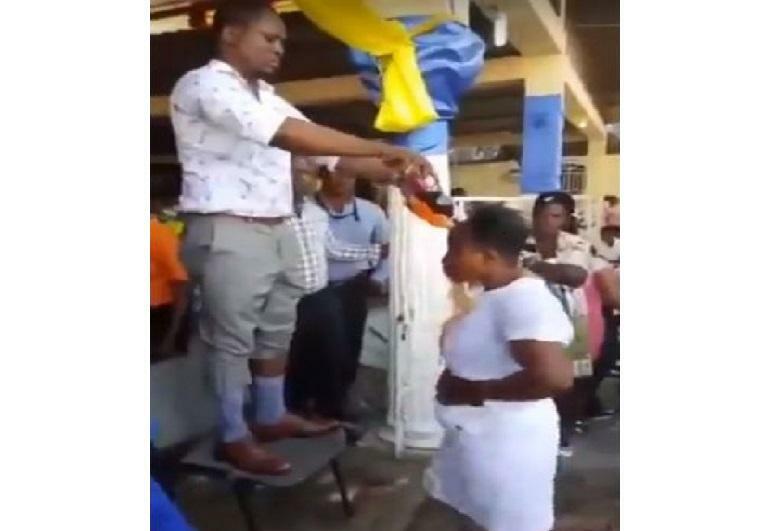 In the video, we see the pastor standing on a chair as members lined up in front of him, each person takes his/her own portion of the anointing soda. Which involve two bottles of soft drinks on different colors. The pattern works by turn after the other. 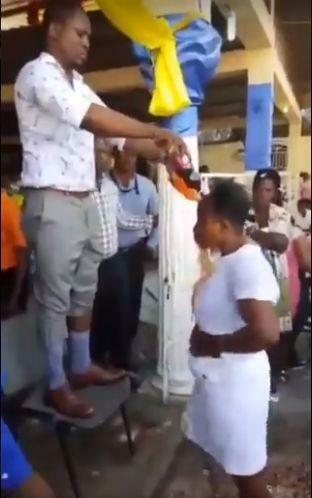 Every individual on his/her own two bottles of anointing soda standing on a straight pattern. Once it gets to your turn, you handover your two bottles of anointing soda to the leader. He then showers the anointing down from the head. 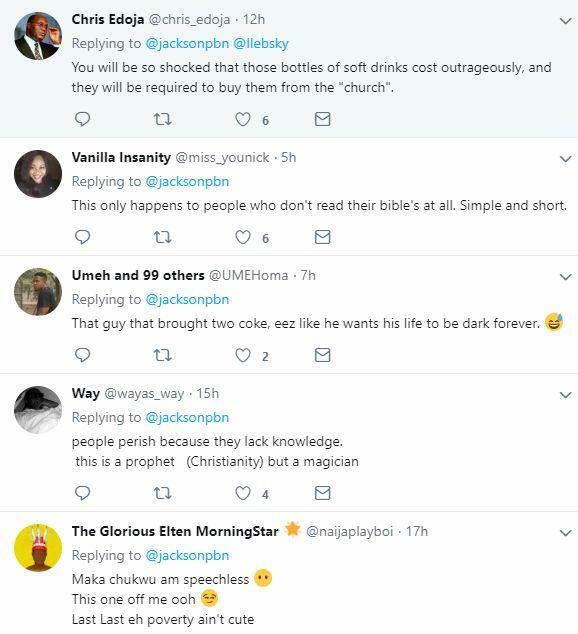 The twitter users made fun of the pastor and his gatherings. 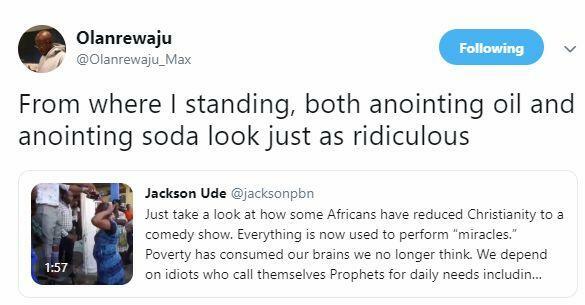 But they defended it by saying that it is an anointing soda and that if olive oil can be used as anointing oil, soda can be used for anointing. A soft drink is a drink that typically contains carbonated water, a sweetener, and a natural or artificial flavoring. The sweetener may be a sugar, high-fructose corn syrup, fruit juice, a sugar substitute, or some combination of these. According to Wikipedia Soft drinks may contain caffeine, colorings, preservatives, and/or other ingredients. Soft drinks are called “soft” in contrast with “hard” alcoholic drinks. The soft drink contained carbonated water, but how often the carbonated water good for our skin? According to Wellandgood, it varies from different skins. Here is what the doctor says: “Carbonated water is acidic, and the skin itself is acidic, so unlike foaming cleaners—which are alkaline—carbonated water won’t disrupt the natural acid mantle of the skin,” says Dr. Fishman. But the question is: do soft drink contain only carbonated water?